In addition to the mandatory public liability cover that is required for an electrical contractors licence, there are a number of other covers that an electrician should consider. In this guide we will take a look at the various forms of insurance available to electricians that can help to protect you, your business and your family. All electricians with a Qld electrical contractors licence will be familiar with this form of insurance, as it is mandatory in order to obtain the licence. This cover is designed to protect you and your business in the event that your work results in property damage or personal injury to a customer or member of the public. Your public liability policy must also include consumer protection insurance in line with the Queensland licence requirements. 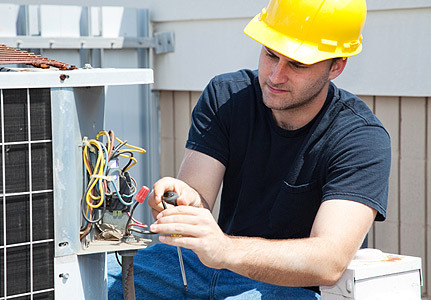 For any self-employed electrician income protection insurance should be considered a must. If you don’t have access to sick leave or workers compensation, this form of insurance is the only way to keep the money coming in if you cannot work. An income protection insurance policy can replace up to 75% of an electrician’s income for a period of time whilst they are unable to work, and depending on the options chosen it can continue paying you each month until you turn 65. Income protection is not mandatory for an electrical contractors licence, however it is mandatory on certain worksites for anyone who is self-employed or subcontracting. This is another form of insurance which is not mandatory for electricians, but it is certainly a very popular and useful form of cover. As an electrician you’ll no doubt have a fairly decent collection of tools and equipment, and most sparkies are surprised at the final replacement cost when they tally up all of their gear. Too insurance can cover the cost of replacing your gear in the event of fire, storm or vehicle collision damage, as well as theft from a secure location such as a locked van or toolbox etc. Other forms of insurance which electricians can benefit from include business expense insurance, life, trauma and TPD insurance. For more information about these four forms of insurance (as well as income protection) can be obtained from any qualified financial adviser. The other two forms of cover (public liability and tool insurance) can be obtained through an insurance broker or directly from an insurer.